Salman Khan and Randeep Hooda previously worked together in Sajid Nadiadwala's Kick and ever since they worked together, Hooda has been going around telling the world how fond Salman is of him. 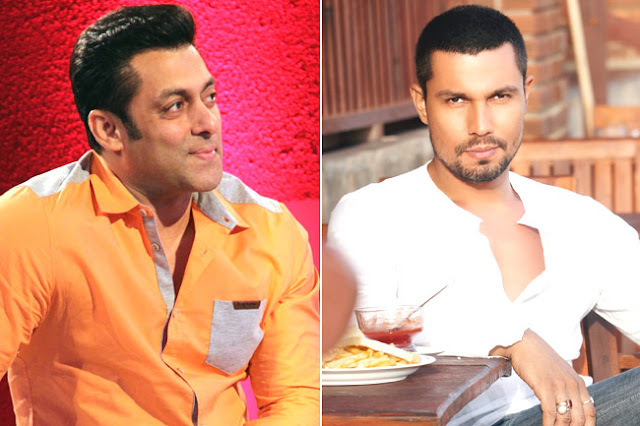 Now, the latest news is that Randeep Hooda will be a part of Sultan and you won't believe it's actually Salman Khan who recommended Randeep for the character. A source revealed, Randeep is now doing a role in the next Salman starrer Sultan. "It's a strong role of a Haryanvi character, though not of Salman's coach, as reported. Randeep has been chosen for the part as he is Haryanvi, and also Salman thought him appropriate for the character." However, another source also said that, "Randeep doesn't play a wrestler in Sultan. Incidentally, Randeep was to play a Haryanvi boxer in film to be directed by Tigmanshu Dhulia." Let's wait and watch for the official update! But, what you say guys? Won't it be really nice to see them together on big screen again? Comments down please!